Mozilla’s bike program was launched in San Francisco in May on the streets of the Embarcadero. 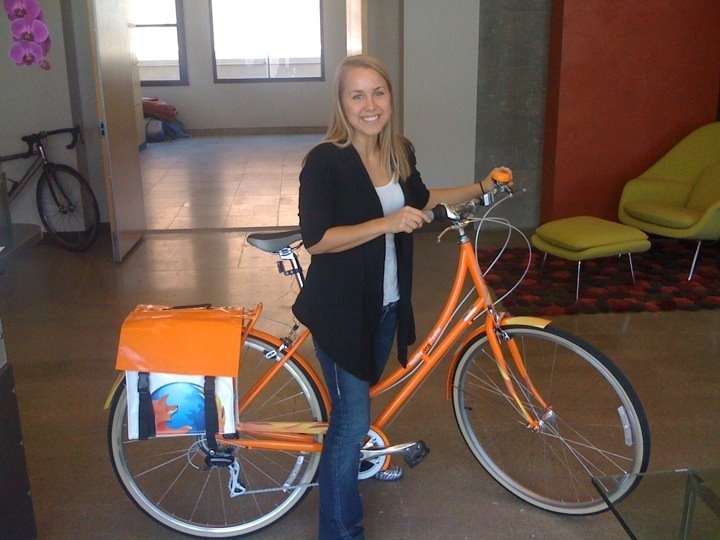 These bright orange bikes with Firefox panniers and branded helmets encourage San Fran employees to enjoy their beautiful city in style and health. WPR was happy to help launch this program that we hope which we hope to grow to other Mozilla destinations in coming years. What is your favorite lunch time destination in San Francisco? WPR’s own Cristina Akimoff showing off her Mozilla pride.